For over 70 years, Parade Magazine has lived between the pages of America’s Sunday newspapers and has always provided its readers with quality stories of substance and clarity. The content in the past was a very serious and news-driven type of editorial. 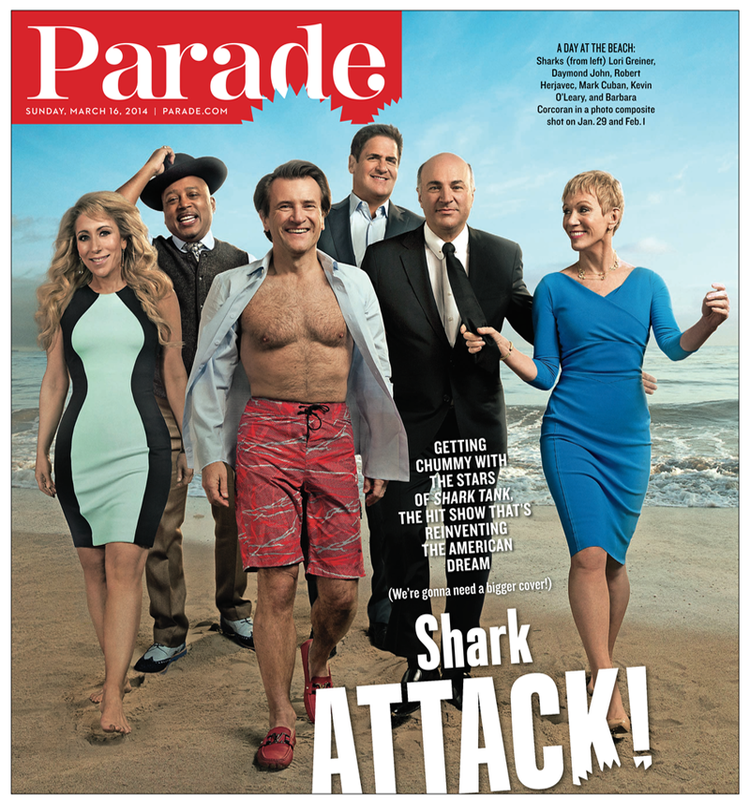 Maggie Murphy, Editor, and CEO, Jack Haire, talk about the more contemporary Parade and its focus on connecting with readers and surprising them with stories that both delight and inform, while at the same time entertain. On some of the skills needed to publish a general interest mass magazine in today’s digital world: I think the skills you need are the ones you needed a century ago: curiosity about what’s going on in the world around you and that means every part of that world. On how you hook people to pick up Parade from between the pages of a Sunday paper: Well, we pop out in Parade. I always think about what Jack Haire, our CEO says about Parade when he compares it to the prize in the box of Cracker Jacks. On whether she feels the burden of delivering content each and every week: This is the best job ever, people just don’t realize it. I get to do my job 52 weeks a year and I still don’t do all of the covers that I would like to. On checking the nation’s pulse, from one coast to the other, when it comes to what they want: I love the opportunity and I do think the staff that works here now also loves the opportunity, to write about a variety of things. On whether or not she thinks newspapers are going to disappear: I don’t think there will ever be a day we won’t have newspapers. I don’t know if I want to live in a country that doesn’t have a newspaper. On whether or not he (Jack Haire) can envision a day where Parade exists without newspapers or without print: I think individuals choose whether they’re going to read print or not. I think there’s a collective out there of people, who like to share in an experience. On how Parade can reach those individual clusters of readers that the mass audience has become: They are narrators of their own story, but they also don’t just want their version of events. They need other voices. I think one of the great things that has happened is information has been democratized, and I think that people actually understand the responsibility of that. 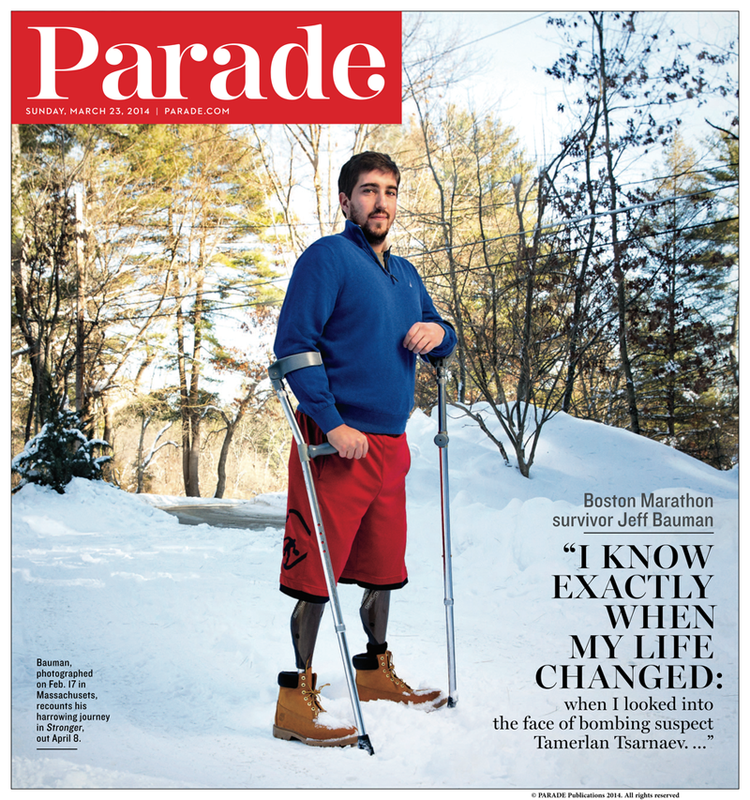 On what newspapers can learn from magazines like Parade: Inspire them. For instance, we’ll do what people learn nationally until many of the papers join in and do it locally. On what keeps her up at night: It’s making sure that the people who are working here who are giving their best are also getting the best out of it. Samir Husni: You’re the editor of one of the largest, if not the largest, mass magazines left in America. What are some of the skills you believe you need to publish a general interest mass magazine in today’s digital audience of one marketplace? Maggie Murphy: I think the skills you need are the ones you needed a century ago: curiosity about what’s going on in the world around you and that means every part of that world. For instance, whenever I’m somewhere I always ask people, who are you, how did you get here, where did you go to school, or tell me about your kids. And certain themes come up again and again. And listening closely to the people you’re working with. I really think it’s curiosity, being curious about things and realizing there is a story there. And I think that transcends any medium. And if you’re curious and can ask enough questions to deliver interesting answers it doesn’t matter what format it is; you engage people. Samir Husni: So how do you hook the people to pick up Parade from the vast pages of the newspapers? It’s getting a bit easier, since the Sunday papers are getting a little bit smaller. Maggie Murphy: Well, we pop out in Parade. I always think about what Jack Haire, our CEO says about Parade when he compares it to the prize in the box of Cracker Jacks. People who are readers of the Sunday paper, of which there are still many, many millions, appreciate that pop of Parade and I think the fact that we’re simply color and we’re also going to be delivering something that will be optimistic. I think I said to you once, and it still holds true; after my very first story meeting here, and Parade has gone through so much iteration through various editors; there was a time and a place where we were the newsweekly for little papers across the country that didn’t have those resources and so the magazine was allowed to be a very serious news-driven magazine and it certainly was under my most famous predecessor, Walter Anderson. But in the years after Walter and the other editors leading up to me; the world changed, you can get that news at your fingertips. So my goal is to surprise people and to put something on the cover that they have been thinking about and we got there and articulated that before they even realized they wanted to read a story about whatever it was. We were talking before about rebuilding America’s schools, that was a story we did last fall, actually two years ago where when I was walking by a crumbling school, and we’ve all talked about this and we said these schools were built primarily after World War II, if not before and we’ve not put any money into infrastructure and we said what would it take and how could we make schools more efficient and we set out to do that story and I think that’s the kind of story that people connect to because everybody walks past the school whether they’re sending their children there or it’s the place where their children once went. So I think the goal is to really just find stories that are stories of consequence, delight and stories that inform. Some of our best covers are things like: the science of siblings which we did, where we actually used a Simpson’s illustration background and did a special illustration of the Simpson’s for us growing up. Because who knows? Maybe on Sunday you’re about to spend three hours with your siblings and wondering how to get through it. It’s very intuitive, I think. I believe the people look for Parade because they do view it as: OK – it’s Sunday morning and maybe I’ll look at the front page, I know I’m going to get to that, but I want to start with something light first. And I’m perfectly comfortable with that. My goal is to kind of catch people feeling something that they didn’t expect; a little bit of emotion and that piece of information. And I think that’s the trick; that’s the magic. Samir Husni: You are the conductor of this vast train that has millions of people waiting for you on Sunday; do you feel a burden to deliver? Maggie Murphy: This is the best job ever, people just don’t realize it. I get to do my job 52 weeks a year and I still don’t do all of the covers that I would like to. We get to do food, politics; we get to do roundtables and celebrities. We get to say no to celebrities if they don’t do what we want. I think there are so many jobs that are so much harder than mine and I think the variety of what we get to do make it an incredibly interesting place for myself and the staff. Everybody who comes here has certain areas that they specialize in. I certainly came as more of an entertainment journalist, I had done food and lifestyle at People and Country when I was there and at Life Magazine. But now I have a whole food magazine that I help execute, in Dash, which is now over 8 million and it’s really humming along and doing very well. So every week you get to be something different and I’ve worked at genre magazines; I loved when I worked at Entertainment Weekly and looking at the world through the prism of entertainment. And I loved working at People, where you could look at the world through the prism of celebrities. But here it’s like every week we have a different prism. Now the challenge is generally that sometimes there’s a real knock against general interest magazines, I think. I think that advertisers get a little like: well, what are you? But I think the ability to be so many things is great. It’s like everybody’s Facebook page where 80 things are there and at least some should reflect what our publication should be. I think with the demise of Newsweek, sometimes you’ll say: well, that’s kind of a Newsweek story or has Time done that story yet. So we compete. I mean, I love Nancy Gibbs; she’s an incredible editor that I’ve always admired, since I was at Time as a younger editor myself. And I think she has done an amazing job so far; but I would look at those covers and say: could I do those or how I could do those covers differently. So we just have a great time here. It’s just a great audience to have. Samir Husni: The reason that I asked you that question is because of late the success or demise of a magazine has fallen on the shoulders of the editor. When you have the freedom with the weekly to do what you want every week; how do you keep your hand on the pulse of the nation, on someone say, in Memphis and then someone in L.A.; how can you check that pulse when we have this nation of audiences of one? Maggie Murphy: You’re absolutely right and that’s a great question. I think there are a number of things first. I love the opportunity and I do think the staff that works here now also loves the opportunity, to write about a variety of things. But make no mistake; there are also huge responsibilities that any editor faces. I remember very early on in my career at Entertainment Weekly, it was right at the beginning of the magazine’s success and the magazine got rated; people who had been a part of the early start-up like Barbara O’Dair, who ended up going to different publications had the editor, Jim Seymore, worried. I had just arrived there, and I said, well, people leave; what’s the big deal? He was a Time Inc. person and had been there a long time, but I was of a generation that said, what’s the big problem? And he said to me, “I’m trying to keep 117 people employed.” And that was the first time I realized what that part of the job was. That wasn’t a part of the job that the editors all talked about when we’d go to ASME and it was an eye-opener. And I feel very strongly about that. Having a positive business story is important to me and the success and viability of the magazine. And the second part is how do you stay in touch with people? In so many ways the digital age has provided a way for Parade, which has never been able to have a day-to-day relationship with its readers, because it came through newspapers, to be able to through our Facebook initiatives, Twitter and Parade.com, to have an engagement with a reader we’ve never had before. So we’ve been able to leverage both. I just think you go out and talk to people and writers and editors go out and talk to people and salespeople who are out there communicating with people and they hear them say, hey, this is what’s happening now. And that’s how you stay in touch. The truth is whether or not people out there people actually think the magazine speaks to them or not; I’m not sure that I can be the judge of that. Samir Husni: You hear everybody preaching about the audience of one and everybody wants their own specialization and they can’t find exactly what they want; yet we have a lot of examples of magazines that are still general interest, whether it’s Parade or Reader’s Digest. And there is an audience out there. But in your gut feeling, forget about the business, just your gut feeling; do you think you can exist without the newspapers? Do you feel like if newspapers are gone, I’ve lost my job and does that keep you up at night? Do you feel like there will ever be a day we won’t have newspapers? Maggie Murphy: I don’t think there will ever be a day we won’t have newspapers. I don’t know if I want to live in a country that doesn’t have a newspaper. Whether a newspaper is delivered in paper; I think that could be debated. But there is always going to be contact and there is always going to be certain basic connectors to contact. And one of the things that I think keeps Parade relevant is our value, which is what we celebrate. We celebrate families and the act of taking time off on Sunday or any day during the week. We celebrate food, we celebrate personalities; all these things. The truth is; I can go to a playground anywhere in the United States and talk to a mother because a mother knows a mother. You can ask about the schools, you can ask about what stage they’re in and I think there’s a kinship of that. As Americans we can collectively agree there are certain things that we love to talk about. We love to talk about food, celebrities and sometimes politics and what is the essence of American pride; what is capturing America’s attention. So I think if you put it in that perspective, it’s kind of easy to figure out. Samir Husni: Without putting words in your mouth; are you telling me that you can envision a day where Parade exists without newspapers or without print? Maggie Murphy: I don’t know. Jack, do you want to try that one? Jack Haire: With your comment about the audience of one; I think individuals choose whether they’re going to read print or not. I think there’s a collective out there of people who like to share in an experience, whether it’s mothers interested in other mothers or Americans who are universally concerned about Crimea, or people who are passionate about this or that. I think it’s going to be a while before the printed newspaper goes away. If you took a look at the percentage of 60-year-olds today who read a newspaper; it’s a smaller percentage than the 60-year-olds of ten years ago. It’s a smaller percentage of 50-year-olds. But it’s still a big percentage. Is Time magazine going to go away; are you going to experience it only on the web? Are books going away? I don’t know. I think you can walk around with an iPad or you can walk around with a phone. But is everybody going to want to do that? Is that a better way of doing it? I think that’s a little more into the future. Maggie Murphy: I also think that if it is an audience of one, you want it whatever way you want it. And the reality is that you and I spent two days with editors, some of whom wanted nothing to do with the print and many of whom relished it. I mean, I don’t know what’s going to come next. The goal is to know what’s right now and be connected. Jack Haire: Let me answer it in a slightly different way; I mean this is way more business side than editor. Is there an evolution to digital products; absolutely. But people say to me when they find out that I work at Parade, well, it’s really got to be tough for you with what’s going on in the newspapers. 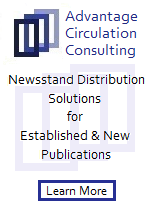 And honestly our distribution in the newspaper channel is a very productive and stable part of the business. When you compare that to what’s going on in the advertisement side, let me give you just one little bit of an explanation. Years ago when Parade set up its distribution panel we could be in the Chicago Tribune, but we couldn’t be in any newspaper within 35 miles of Chicago. And a lot of that still exists. In Minneapolis, for years, well, in the twin cities, I should say; for years we were in the St. Paul Pioneer Press and by contract, we could not be in the Minneapolis Star Tribune. Well today we’re in both. And the reason we’re in both is because, in my view, both players wanted the best content for their audience and they realized that if you live in White Bear, Minnesota, which is a St. Paul suburb, and you want to get local news, you’re going to get it from the St. Paul Pioneer Press, you’re not going to get it from somewhere else. If you live in Edina, Minnesota, a suburb right outside Minneapolis, you’re going to get it from the Minneapolis paper. So in a way they weren’t competing. In a world where the newspapers are forced to be far more local, to deliver for schools, sports and maybe some national things, depending on their aspirations, but I’m sure you remember not long ago where the notion of I want my paper to be the statewide paper; I want to be the journal of record for the state of New Jersey or I want to be the paper of record for Oklahoma, by contrast in those days, we couldn’t go into a paper 90 miles away because of the contract. But now we can. But what that’s meant, being in Minneapolis, which has a circulation on Sunday of almost 500,000; we now, in my view, have a better circulation. We have more papers and more drop-off points, the Rubik’s Cube is a little more complicated, but we’re in both. And we deliver far more in that metro than ever and I think that’s a positive side of the more locally-focused, the more server-oriented focus of newspapers today. Maggie Murphy: When you talk about the audience of one, my sense is…well, there’s an audience of one, but then they turn around and share it with as many people as they can. I think human nature requires communal sharing of information and connectedness. And that’s what we try to do right now and that’s what we’ll continue to do in all forms that exist now and will exist. Samir Husni: In the old days where few media companies beamed the information on the masses, we now have more media companies doing it, but the masses are now clusters of masses. And as you said; we have to get that 25 million audiences of one and they start sharing with each other, so although there is an audience of one, there are the clusters now. And the question is: how do you reach them? 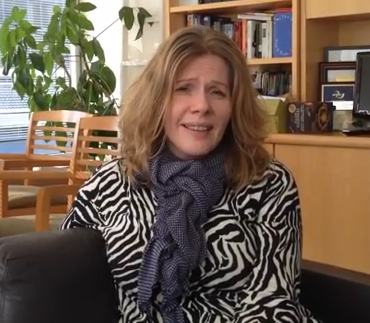 Maggie Murphy: They are narrators of their own story, but they also don’t just want their version of events. They need other voices. I think one of the great things that has happened is information has been democratized, and I think that people actually understand the responsibility of that. We built a contributor network this past year and really found some wonderful people who write about food across the country and just write about lots of different topics and we’ve empowered them to be part of the voice. In a previous universe all the information came from here and it went out. Now that information comes from there and it comes back to us, we bubble it up, give it Parade’s brand and it’s a great partnership. And I think that lots of companies are working to empower everyone to have a voice. The way I put is it used to be one type of table and we sat at it and we sort of dictated and the information went out. Now everybody is sitting at that table and it’s a big boisterous long table, kind of like the one I grew up at with my loud Irish family. And I think that that’s challenging, but it’s fun and it’s also diverse in a way that maybe there was a certain amount of east and west coast elitism to media and I think our Parade of voices comes from all over the country and that helps us also really then reflect what should be on the cover and channel it back. Samir Husni: What can newspapers learn from magazines like Parade? Maggie Murphy: I saw a presentation, and Jack laughs when I keep mentioning it; the presentation by Alan Rusbridger, from the Observer and how it created a virtual circle of connectivity. Maggie Murphy: And also just the journalists themselves, rather than going out and pursuing the story without asking before they got on a plane: I’m coming to cover the story about X, can anybody provide me any sources? Publishing a story and taking information if you think it is valid and correcting your story; there’s a link to it. He gave this talk at NAA last year and it’s really informed the way that I think about it. It’s an empowering place for everyone. Journalists are not the only experts. Here’s one of the examples: he talked about for instance, the critic for The Observer goes to see a play on the East End and publishes his review and anybody who was there could also publish their review simultaneously, right? So there is The Observer East End critic’s review, but there is also another one. And I think the truth is, what people want are conversations. And we now have the technology to have those conversations and I don’t think that we’ve done as good a job as we will in the future by incorporating those conversations into the content. And some of that is just difficult. 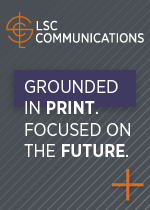 Our print brand has specific needs and a finite amount of space and is published three weeks ahead of when you actually see it. But anyway that we can have conversation is what we’re charged with doing. And that’s what newsrooms need to do. I think it was the Naples paper; they have this gorgeous newsroom, there is a television studio in it, but there’s also a community meeting place, so a lot of meetings involving the community take place there. To actually create the place where people come and they have discussions – wow. Jack Haire: But I think to answer your specific question, we try to interact with the editors and publishers of the papers. We were getting ready for a meeting that we had last spring in Phoenix and I was calling around and asking some of our partners and colleagues how was Parade doing with their readers and one of the guys I talked to said Parade allows us each to do what we do better, to focus more. You know if Maggie is going to do a story on a new movie that’s breaking and she has access because people in Hollywood value the broad reach of a first person interview of George Clooney or whoever it might be, one of the lead stars, that in turn enhances what the Minneapolis Star Tribune delivers to its readers. But he also is saying, honestly we can’t get that unless Clooney lives in St. Paul or nearby and it’s a special kind of a thing. So we value that color and that access. You know a lot of papers have moved away from food because it’s hard to do and it’s hard to do well. If you’re in a university town, you might have a thriving food culture, Providence, Rhode Island or something, so maybe you’d do it in the form of reviews, but we’re not doing the local story and increasingly in the area of popular culture that are less geographic, but still of high interest, the readers that we have, but that’s what we bring to the party. So we have what we hope complements what the papers are doing. Maggie Murphy: Or inspire them. For instance, we’ll do what people learn nationally until many of the papers join in and do it locally. At NAA next week, we’ll bring our social media editor and one of the goals is to give them a sense of what we’re going to do and say, here is maybe what you want to join in on and just keep broadening that conversation so that we can complement each other. One of the things that I do like about ASME and the judging is that you get a lot of people in the room doing similar things for different people and the coming together and having that conversation and I think everybody is better for it. And I think that’s what we keep trying to do with our newspaper partners. 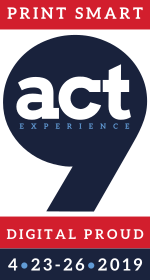 What do you need or how can we help; how does what we want to do nationally dovetail with what you’re hearing and seeing locally? I think it just boils down to conversation. Maggie Murphy: I think what keeps me up at night and there are lots of different ways I could respond, but I think I am going to answer that question in a very personal way. So for me it’s making sure that we remain a culture of experiment and that they’re getting a chance to do things that they may not have before in a bigger-structured corporation. Obviously, the wellness of Parade itself and its vitality is important as well. But it’s making sure that the people who are working here who are giving their best are also getting the best out of it. 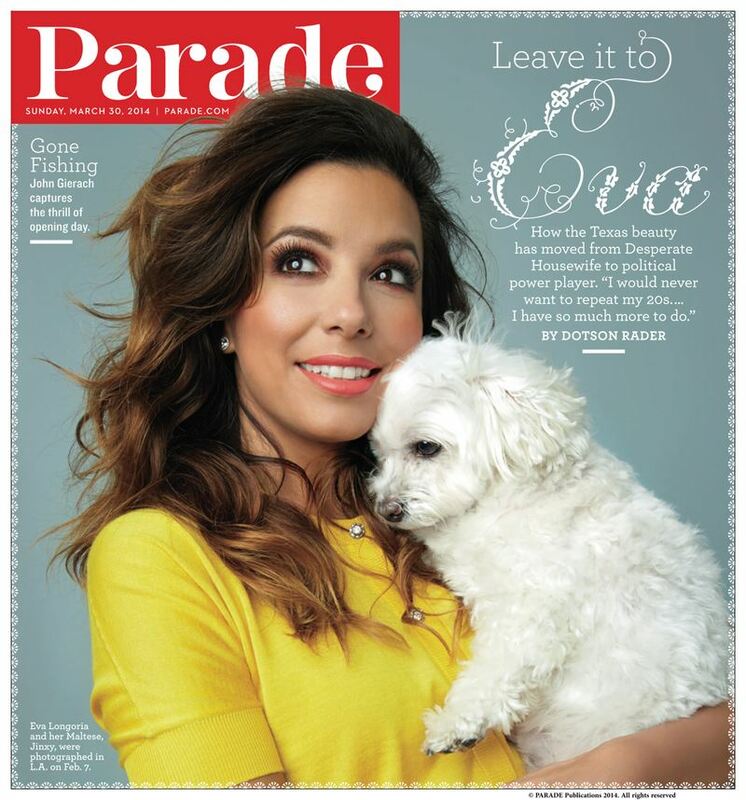 Why is the Parade Magazine getting smaller and smaller? Please don’t take out ‘Ask Marilyn’.